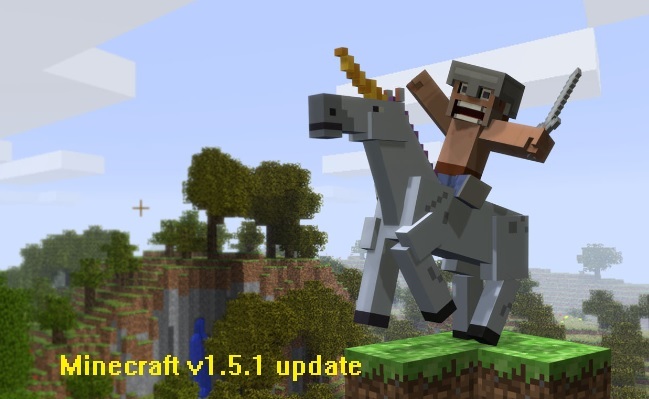 Mojang has officially rolled out a new update, Minecraft 1.5.1 shortly after the v1.5. It addresses major game performance issues and dozen of minor bugs that were reported by the players. The MacOSX openGL crash has been fixed, falling blocks no longer glitch, you can now place paintings, stitching works properly. This update is compatible with previous version, you can install Minecraft 1.5 mods on 1.5.1. Check the changelogs for more details. If you are using Windows. Go to Run > Type %appdata%/.minecraft/bin and hit enter. Copy the new Minecraft.jar that you downloaded in Step #2 to bin folder. Replacing the old jar. Make sure your Minecraft is closed before upgrade. Please make a backup of your old Minecraft.jar before upgrade, in case you run into any issues.